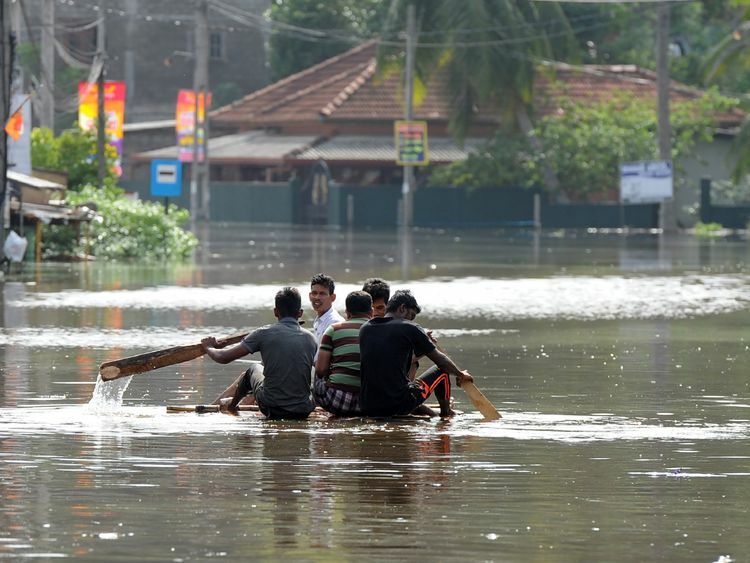 The death toll from floods and landslides in Sri Lanka has risen to 169, with close to half a million people displaced. 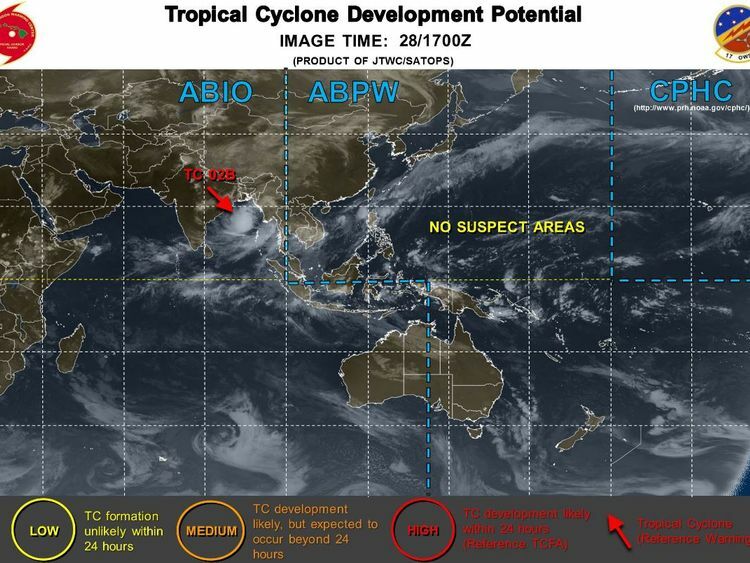 Bangladesh is now braced for Cyclone Mora to make landfall early Tuesday morning as the storm continues its destructive path across the Bay of Bengal. The country’s ports were warned to expect sea surges of up to two metres, with neighbouring India’s north eastern states also on alert for heavy rains. 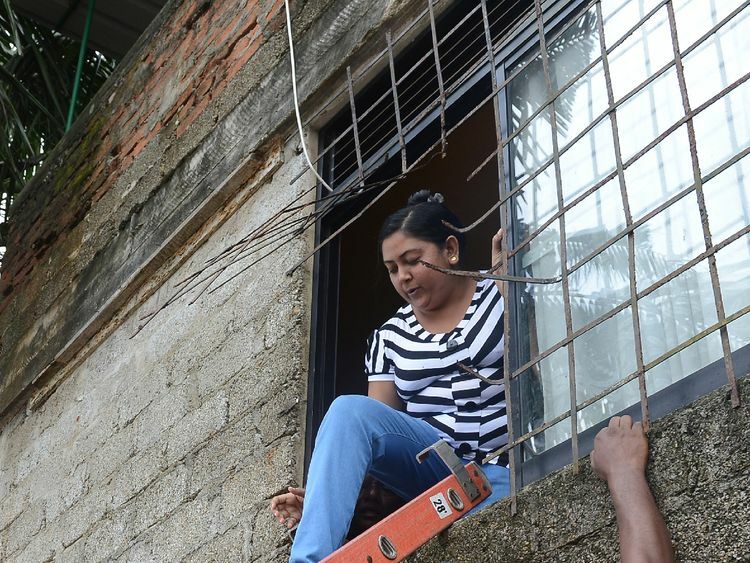 On Monday, Sri Lanka’s Disaster Management Centre reported a higher death toll with 102 people still missing from the torrential rains in the country, which began on Thursday. More than 75,000 people are sheltering in relief camps, officials added. 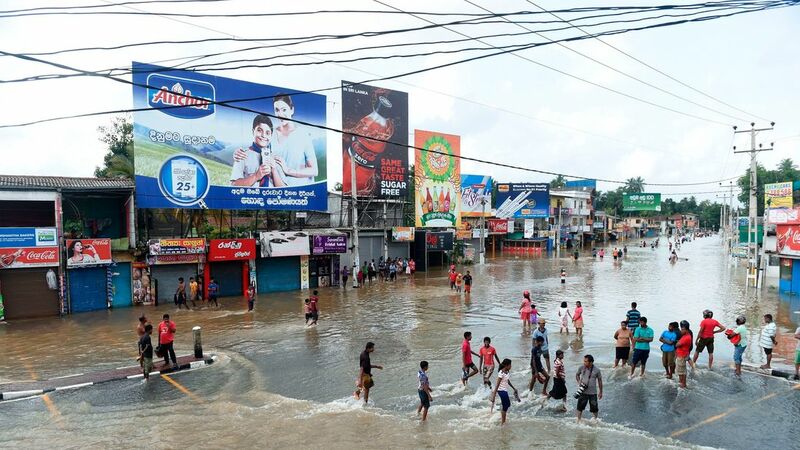 The torrential rains – the worst to hit Sri Lanka since 2003 – have swamped western and southern regions, with some of the most affected areas in Kalutara, Ratnapura and Matara. Army boats raced up and down waterlogged village streets as they rushed to evacuate people and bring relief supplies. A dozen military aircraft have also been sent out to rescue marooned villagers. Floods have reached roof level and cut off access to many rural parts of the country. Those in heavily populated areas in south and central Sri Lanka were told to move away from unstable slopes in case of further slippage of red mud, which has already swallowed many homes. But the government’s relief programme, which was stepped up during a break in heavy rains over the weekend, could be put back by more downfalls on Monday and Tuesday. 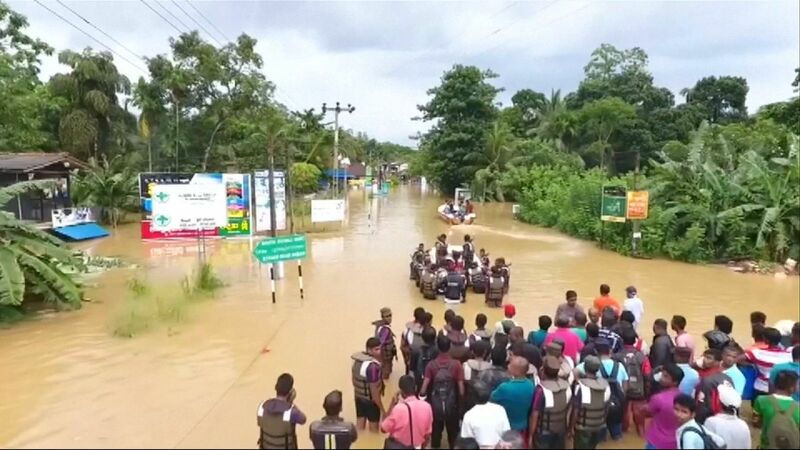 The authorities’ efforts were also hampered when a transport helicopter transporting supplies to flood victims crash in the south west of the country. The clean-up operation is expected to take weeks, with nearly 2,000 houses damaged or destroyed. In Galle, a city in the tourist-heavy South West that was badly hit by the 2004 Boxing Day tsunami, aerial footage showed enormous areas of flooding, with residents standing knee deep and rescuers distributing aid packages. Sri Lanka has appealed for international assistance in the wake of the disaster. India is sending three navy ships with supplies and other aid, the first of which arrived in Sri Lanka’s largest city Colombo on Saturday. The UN has promised to donate water purification tablets, tents and other supplies for the displaced, while the US and Pakistan both announced they will soon dispatch a consignment of relief supplies. The depression that hit Sri Lanka has intensified into what has now been named Cyclone Mora, weather experts said. Torrential rains are now forecast for the next 36 hours in the region.